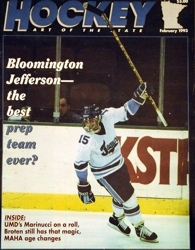 The oldest of the Bianchi brothers, Steve, won a state championship with Bloomington Jefferson in 1981. The next in line was Tony, and he matched the feat with a state title in 1989. Competition between the Bianchis pushed well beyond the boundaries of a normal sibling rivalry. Anything one Bianchi can do, the others are driven to do infinitely better. John Bianchi, the former longtime Jefferson assistant coach, remembers gathering his three boys for annual family golf outings. “They would get pretty physical,” Bianchi said. One state title wasn’t going to be enough for Joe. He made the Jaguars’ varsity as a freshman, and starting as a sophomore he played in three-straight state tournaments. Joe graduated in 1994, and the Jaguars haven’t won a title since. Like his older brothers, Joe Bianchi possessed a winning mix of grit and talent. “His role was to make a few plays, but more importantly score the big goal,” Tony said about Joe. Tony spent hours upon hours with Joe in shinny games on backyard rinks, feeding his little brother passes for tap-in goals. Joe learned early that there were rewards for those that hung around the net. “We used to call him Biffy because that was the name of the garbage company in Bloomington,” said Nick Checco, a high-scoring forward who graduated a year ahead of Joe Bianchi. “One or two could be considered a garbage goal, but he was always in the right place at the right time. Bianchi grabbed statewide attention as a sophomore in 1992 when he scored a hat trick in Bloomington Jefferson’s 7-1 win over Eden Prairie in the quarterfinals of the state tournament. He repeated the feat in the Jaguars’ 6-3 rout of Moorhead in the championship game, only this time Bianchi’s three goals came in succession in a span of 4 minutes, 52 seconds in the third period. Jefferson won the state title in dominating fashion the follow year, beating Hill-Murray 4-0 as Bianchi chipped in with a goal. 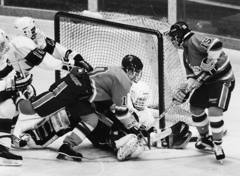 In 1994, with Bianchi as a senior, Bloomington Jefferson joined Eveleth and International Falls as the only schools to win three straight state championships with a 3-1 win over Moorhead. Bianchi was named to the all-tournament team that year, an honor he had also received in 1992. Jefferson went 79-3-2 during Bianchi’s final three seasons. The Jaguars went unbeaten in 60 games during that stretch. “It was all a highlight, quite honestly,” said Bianchi, who went on to play four seasons at the University of Wisconsin. “You look back over those three years and we had very few down games and down weeks. Bianchi the “garbage man” remains Jefferson’s all-time leading goal scorer with 85. He also owns the school mark for career points with 177. 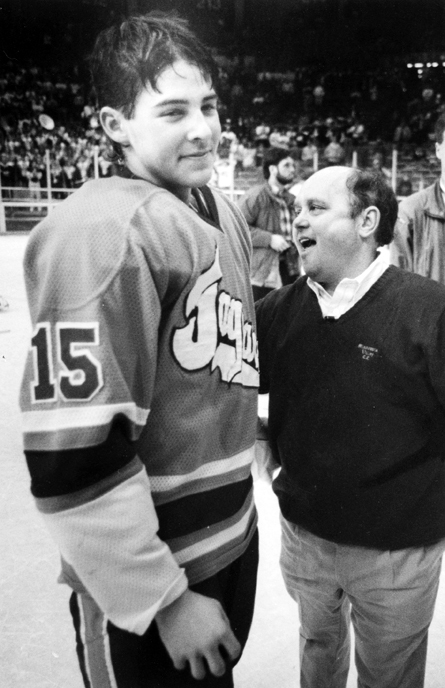 His 74 points in 1993-94 ranks second behind the 77 defenseman Mike Crowley put up during the same season. Bianchi was one of five finalists for the 1994 Mr. Hockey award won by Crowley. Bianchi turned pro in 1998 and played briefly in Europe before spending five seasons in the minor leagues with five teams. He lives in Eden Prairie and works for UPS as a major account manager.